Deus Ex: Mankind Divided was recently released by Square Enix and Eidos Montreal as a sequel to Deus Ex: Human Revolution. The games are cyberpunk-themed action-RPG’s with a pretty heavy stealth influence/presence and feature the same protagonist, Adam Jensen. 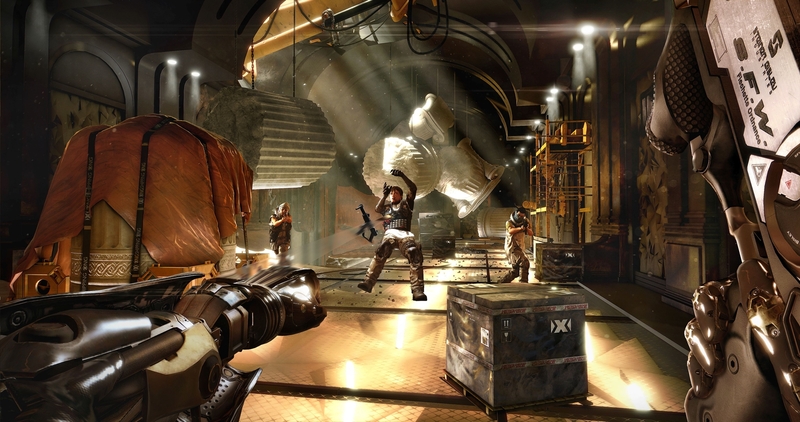 Mankind Divided takes place two years after the events of Human Revolution and continues the general narrative of the series; however the game can be played with little to no explanation of the events that occurred in Human Revolution. 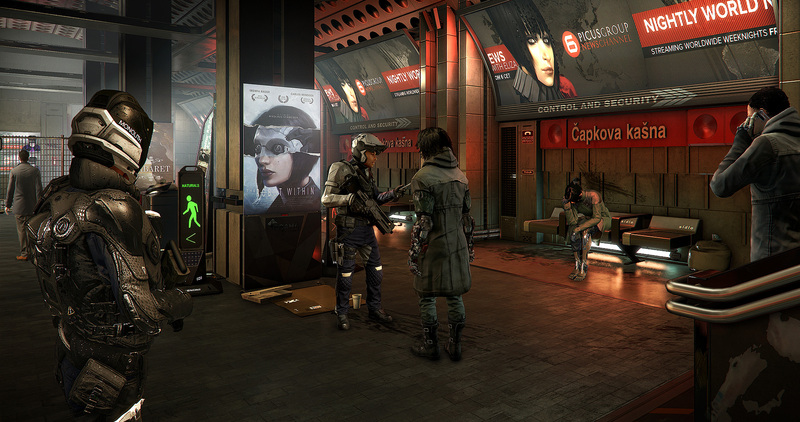 To summarize, Mankind Divided takes place after an event referred to as “The Incident” (which took place in Human Revolution) which saw augmented humans become uncontrollable and violently lethal through no will of their own due to devices implanted within them, all unbeknownst to the augmented people. The whole ordeal was orchestrated by a group known as “The Illuminati” and Jensen holds them responsible for turning augmented people into weapons, resulting in a huge loss of life as well as a loss of trust in anyone with augments. Due to this event there has been a great – you guessed it – divide in mankind: Augmented people vs. non-augmented, or “Natural”, people. Augmented folks are still seen as threats even though the devices have been disengaged and two years have passed. This has led to them becoming homeless, jobless and generally treated like criminals and/or below human worth in many parts of the world; the treatment of augmented people in Mankind Divided is being referred to as “mechanical apartheid”. You play as Adam Jensen, a heavily augmented fellow, who currently works for Interpol in Prague, Czech Republic. He is on a special task force assigned to dealing with the threat of augmented humans yet works secretly for a hacker group that is helping him find information on the Illuminati so he can bring them to justice. So now that you have been given the general gist of what Deus Ex: Mankind Divided is about, let’s get into my initial impressions of the game. I have been playing the game quite a bit lately but I don’t feel as though I am even half way through it yet. I don’t typically monitor how many hours I spend playing certain games but if I were to guess how many hours I have put into Mankind Divided I would say roughly 8-10 hours or so. I’m really enjoying the game so far, and there are lots of reasons for that, but first I’d like to lay out a small disclaimer: I didn’t finish playing Deus Ex: Human Revolution and I quite frankly didn’t really enjoy the game based on what I played. To clarify further I simply didn’t care for the gameplay. I really love the narrative, the setting, Jensen himself and the overall aesthetic of the game but the gameplay really frustrated me. I tried playing it multiple times as well, I kept thinking I could push past the aspects I didn’t like to enjoy what I did like but that just never happened. That being said, one of the cool things about Mankind Divided which is immediately available upon starting the game is a 12 minute video which goes over all the main events of Human Revolution either as a refresher or a summary of the game for those who are in need. As I said previously, and as the game tells you before making your decision about watching this optional video, it’s not necessary to know everything about Human Revolution before playing Mankind Divided but it’s nice to know if you have the spare time. So far one of my favorite aspects of Mankind Divided when comparing it to Human Revolution is that the reliance on stealth isn’t really there. You have the option to approach situations and missions with a focus on stealth, non-stealth, or a mixture of the two, like before, but the non-stealth option is made much easier to go about using. My biggest issue with Human Revolution was the emphasis on stealth in relation to how difficult it was to approach almost any situation in a non-stealth way. It was said that I could not have a stealth focus if I didn’t want to but I felt that the game was unnecessarily stacked against you if you chose not to be stealthy. Mankind Divided features plenty of upgrades and abilities that can help you be not-so-stealthy and still have a relatively easy time, unlike Human Revolution which I felt neglected to feature substantial upgrades that weren’t a direct benefit to a stealth-only play style. It means a lot to me that I can now choose to run into a situation “guns blazing” and not have a super difficult time. I can upgrade my abilities to help me out in such scenarios and play how I want with no substantial penalties. Of course there are still a lot of stealth based upgrades which are awesome, but people can play however they want and that is always super fun when done as well as it is done in Mankind Divided. Another aspect I’ve been enjoying is the lack of boss fights as I have never really liked boss fights in video games. While it seems that I am in the minority among gamers with my opinion on boss fights, I still have the opinion nonetheless. The problem for me is that they are rarely done in a way that doesn’t impair the narrative. By that I mean that I find that boss fights, in most cases, pull me out of the game and provide a challenge which I typically do not want or need and therefore frustrates me, thus pushing me away from the game’s narrative. I don’t mind a final boss or one or two big battles, don’t get me wrong, but the typical “play a level, fight a boss, repeat” style of gameplay in some games is something I don’t like and try to avoid in most cases. There are only a handful of games I can think of that I have played which provide regular boss fights which don’t detract from the game’s story or general progression. I can, however, think of plenty of games which do provide regular, scheduled boss fights which do pull me out of the game at the expense of my interest in the narrative. One of those games was, as you may have guessed, Deus Ex: Human Revolution. While I didn’t finish Human Revolution, I made it through 2-3 boss fights (probably quit around the 3rd) and feel that, among the other things I have stated regarding the gameplay in that game, these instances were detrimental to the game as a whole. Luckily for me, Mankind Divided has had no boss fights up to where I currently am in the game and to me that is a positive thing because I have become way more attached to the game as a whole without them. As I mentioned previously, I love the setting and the plot of these games. I’m big-time into the idea of human augmentation in reality and love when these augments are incorporated in futuristic, cyberpunk, fictional settings; it’s like brain candy for me. The narrative of Mankind Divided is no exception and been fantastic thus far. The way the story unfolds and showcases the ups and downs of this futuristic society and how it is struggling to deal with augmented people after “The Incident” is done in a rather exceptional way. You can feel the tension and see the atrocities occurring all around you, it’s really quite deep if you allow it to be. I’ve found myself getting really involved, choosing to side with augmented people and against the state police as well as those who are openly discriminating against augmented people within the game. It’s been a really neat experience for me and I’m quite taken with it. Mankind Divided has a really great balance of in-depth side missions and regular story missions. The side missions don’t feel as if they are just arbitrary and a simple means of leveling up your character. Many of them have real consequences and the choices you make determine future outcomes within the narrative. They are enjoyable and worthwhile, making them something that pairs really well with the main missions as you can do them all at the same time. 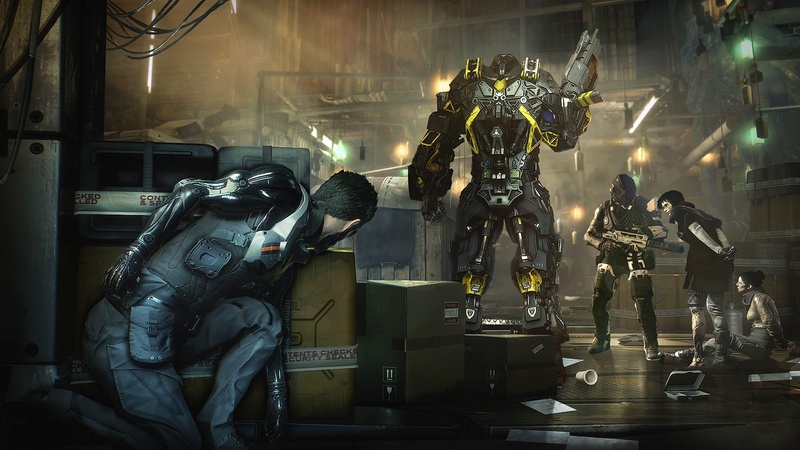 Overall, my initial impressions of Deus Ex: Mankind Divided are very positive. This game has surpassed my expectations and given my thoughts on Human Revolution I was very surprised to find myself enjoying it as much as I have been. I am looking forward to continuing my playthrough and seeing where the game takes me. I do recommend taking the time to check this title out, it’s well worth your time! Nice early review! I’m very early into the game compared to you I think, but I’m really enjoying it so far as well. I totally agree with you on the boss fight thing, too. Anything too “gamey” that takes me out of the narrative annoys me. I like a more seamless experience! I agree, a seamless experience just makes any game that much better. Some games fit really well with the constant boss fight design but story heavy games suffer when you’re always pulled out to fight bosses constantly. Thanks for reading and responding, hope you keep enjoying the game!